Mobridge: One Hell of a Town! Mobridge South Dakota: Home to that whimsical fake football mill North Central South Dakota Polytechnic Institute and just short of 3500 fine folks. 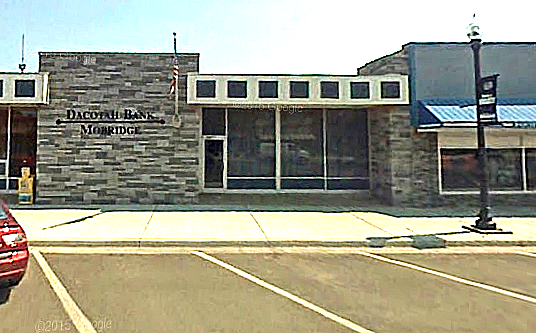 Let’s take a brief photo tour of the area in and around Mobridge. Oh yeah, these are shamelessly stolen from Google Maps. 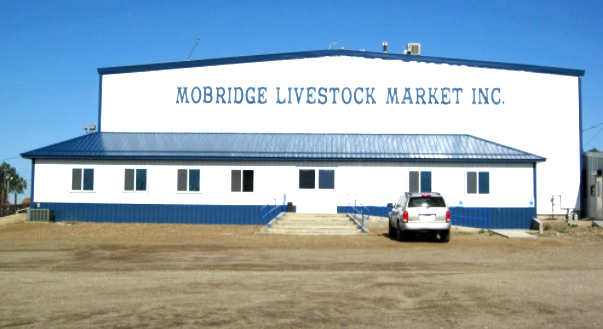 Every great town needs a livestock market and Mobridge is no exception. 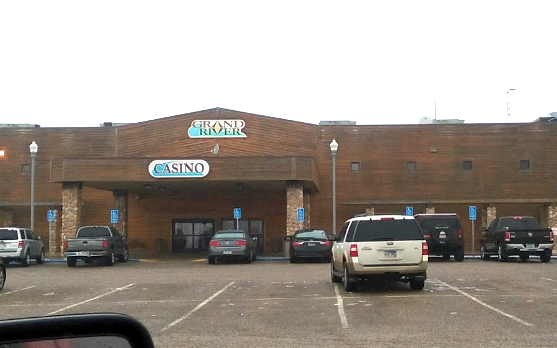 For your gaming pleasure the Grand River Casino and Resort is just a stones throw across the Missouri River. It is jam packed with games of skill chance designed to efficiently separate you from your children’s college tuition money. 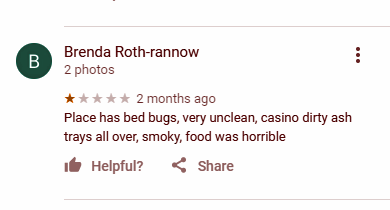 C’mon Brenda, how much did you lose? 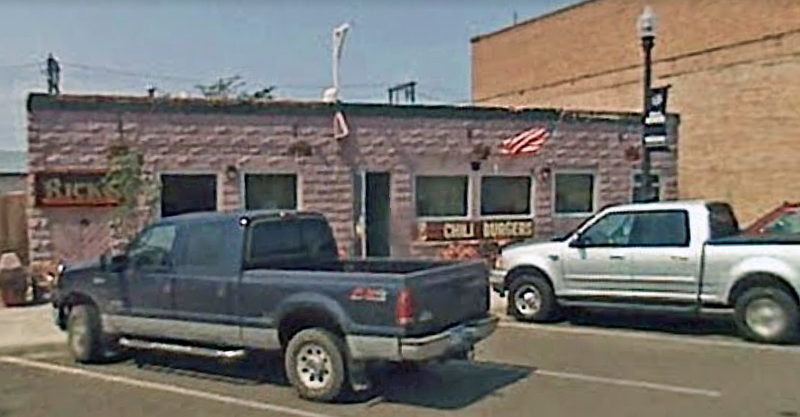 Want a great burger, well, maybe just an OK burger? Try Rick’s today! If you have a family, take them to the Great Plains Family Restaurant for some homemade cooking and fresh pies. Beats the snot out of restaurant made cooking and stale, wormy pies. After dinner, how about a little beer, pool or karaoke? 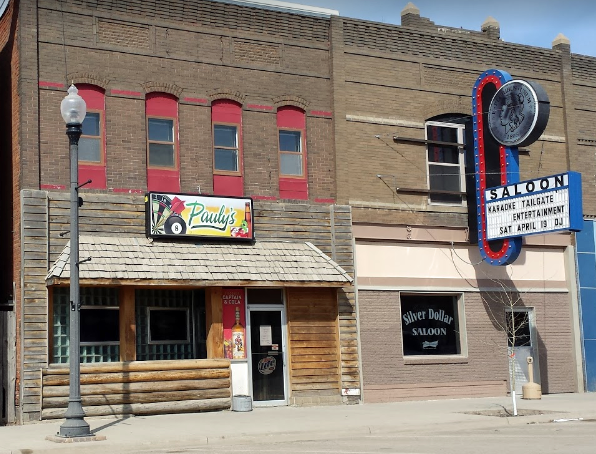 There’s Pauly’s and The Silver Dollar Saloon. Every teeming metropolis needs a school. Mobridge has one: Mobridge Pollock School. Here are our obligatory junk cars. There are three banks in town, here is one. 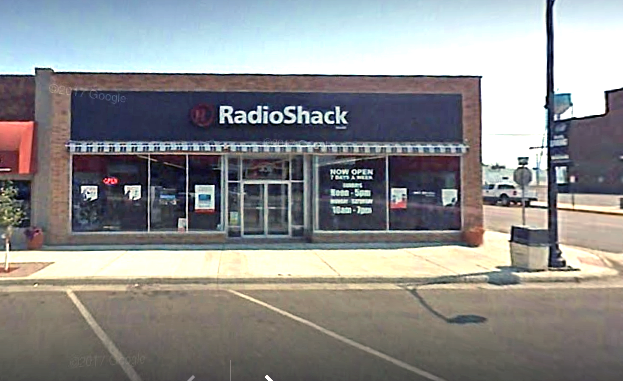 And in closing, here is the Radio Shack on Main Street. Speaking of closing, it has been closed for two years.